Before she was a duchess, Meghan Markle was an actress who needed to keep up appearances working in the entertainment industry. As a result, her fitness became a top priority and she had a personal trainer to help keep her focused through a busy filming schedule. Kate Middleton is reportedly a huge fan of planks, according to Daily Mail. Kate likes to perform the equipment-less exercise and can hold planks for a considerable amount of time. As for Prince William, would you believe he gets his exercise done in just 11 minutes? One of Meghan Markle’s preferred exercise methods is yoga. She told Reader’s Digest Best Health that yoga is her “thing” and that it has been in her life since she was young, as her mother is a yoga instructor. 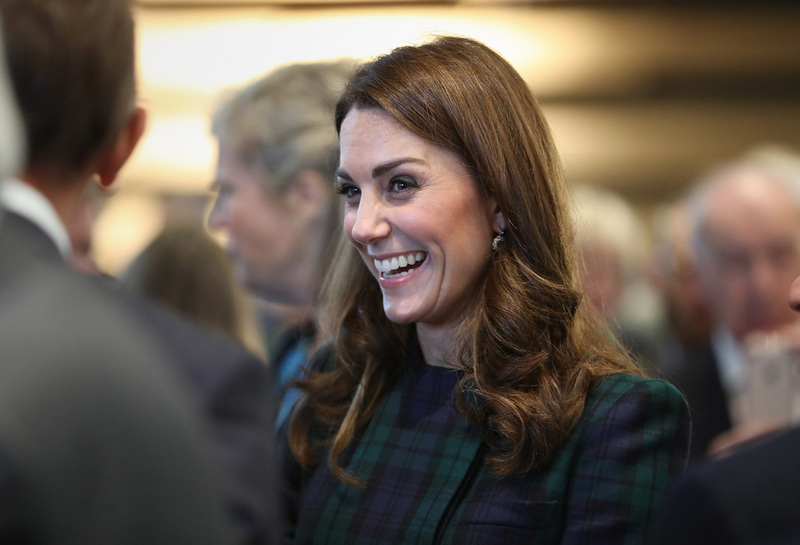 If you’ve ever wondered how Kate Middleton has managed to snap back and look radiant following all three of her pregnancies, the answer may be in the raw-food diet she became fond of in 2014. 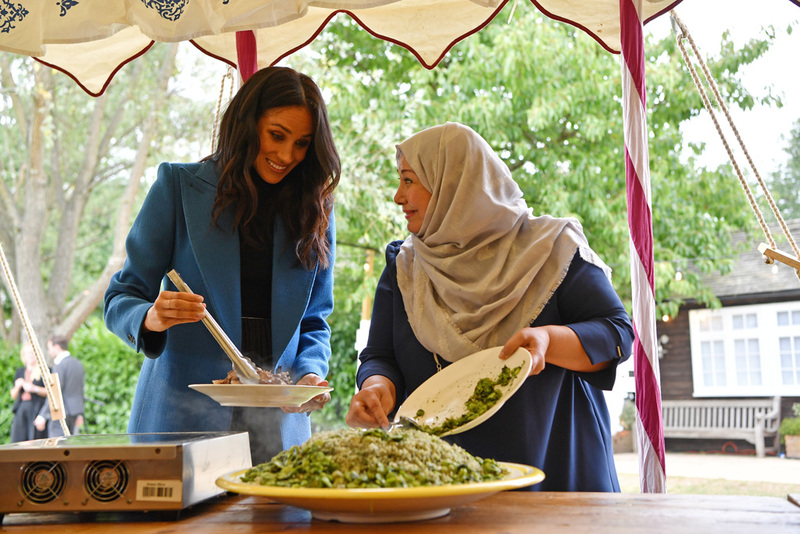 Sources close to the Duchess say that she often sticks to uncooked meals such as ceviche, watermelon salads, gazpacho, tabbouleh, and goji berries. A raw-food diet is great for hair, skin, and nails since it contains more nutrients than cooked food. Prince William is ostensibly quite busy with all the royal engagements he has to attend to, but even he finds the time to get his fitness in – even if it’s just for 11 minutes. Sources tell The Telegraph that before breakfast, William performs the Royal Canadian Air Force 5BX plan. The program consists of five basic exercises, like push-ups and crunches, to improve muscle strength and coordination. The fitter you get, the more the more reps you add in the 11-minute sets. 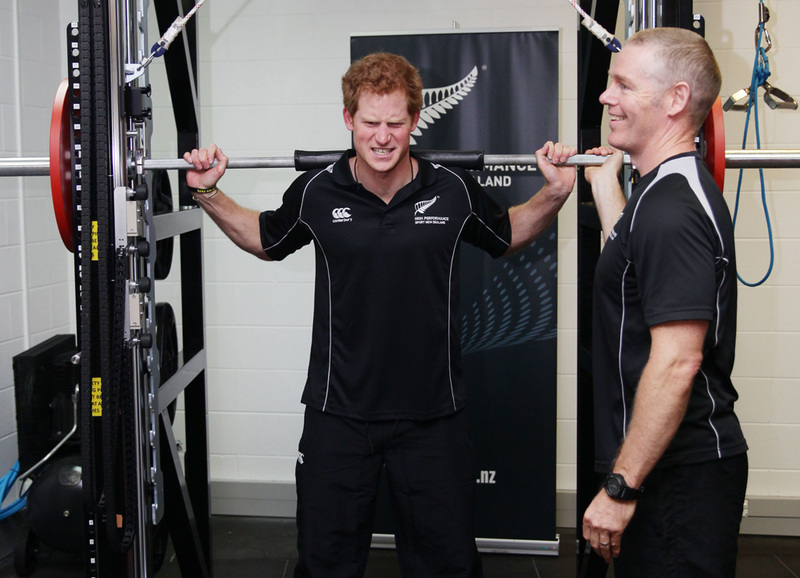 Prince Harry has become fond of a certain tool that helps maintain his well-balanced diet. While she hasn’t been able to work with McNamee since becoming a duchess, it’s no wonder she often enjoys running across Kensington Gardens. It’s not a bad backyard, after all. 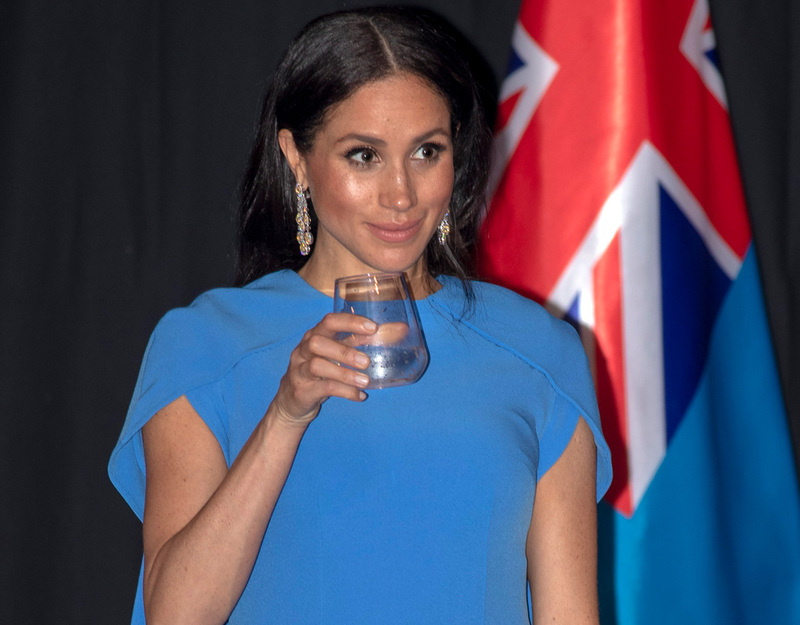 Meghan Markle likes to drink nutritious smoothies to keep her fueled throughout the day. She’s even shared a number of her go-to smoothie recipes with the world, but her favorite is a blueberry concoction that also includes cinnamon, chia seeds, almond milk, and coconut water. Markle uses Clean Cleanse vanilla shake powder in her smoothies. But of course, not everyone can afford the luxurious Clean Cleanse program so you’re welcome to opt for any shake powder of your choice. 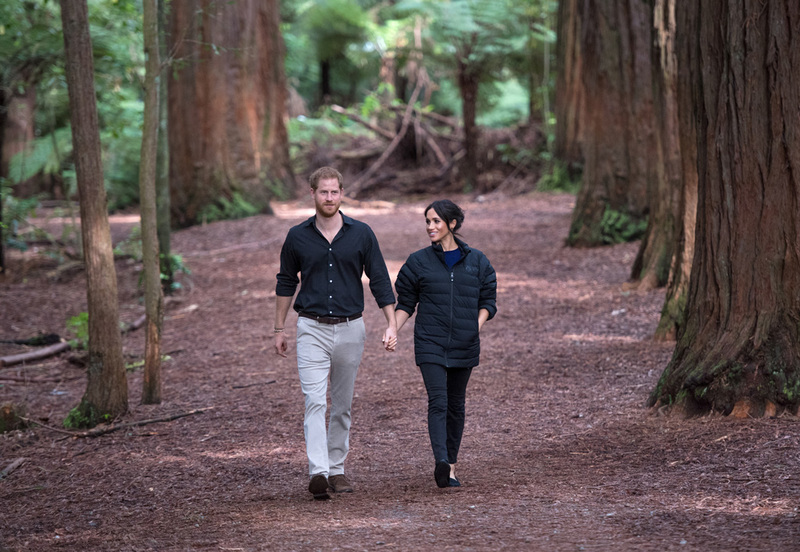 Before their wedding, Prince Harry and Meghan Markle worked together to get in the best shape possible. 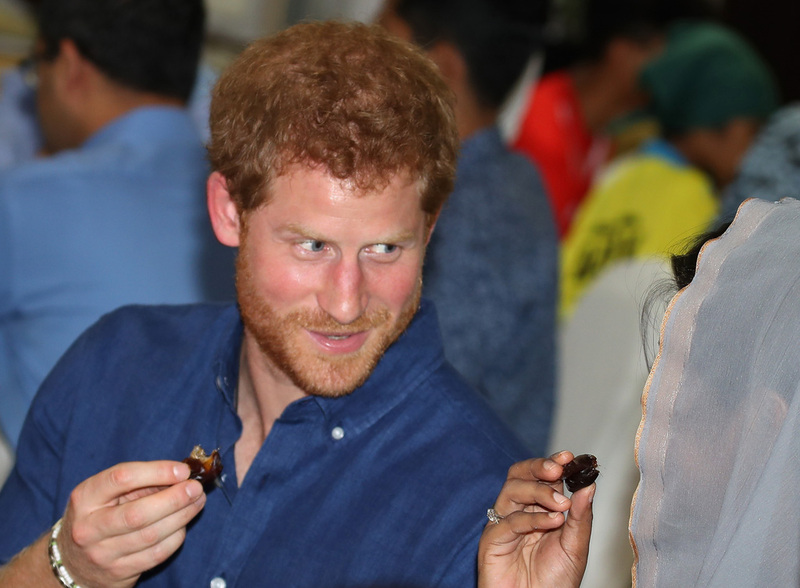 They partnered with nutritional advisor Gabriela Peacock, whose “Clean Me” supplements became a favorite for Harry. Of course, supplements aren’t for everyone. People get on just fine if they already eat a nutritious and balanced diet all the time. 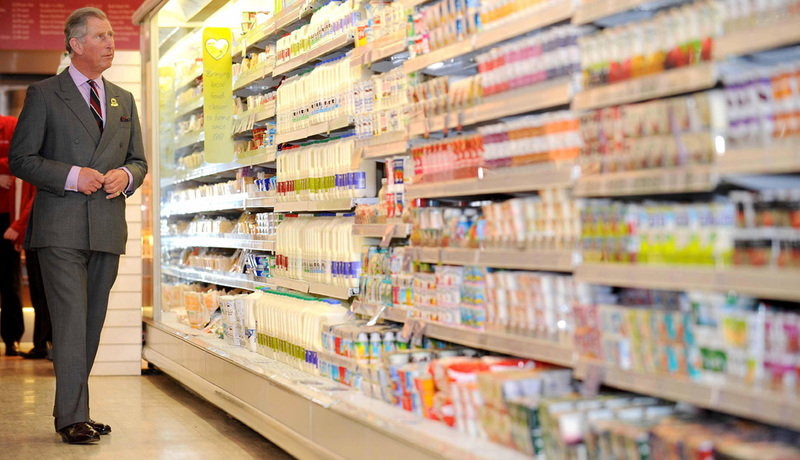 But for those whose diet is lacking in certain areas, supplements may be something to consider. Cigarette smoking is a tough habit to kick, but if you manage to do it then you’re already doing wonders for your personal health! 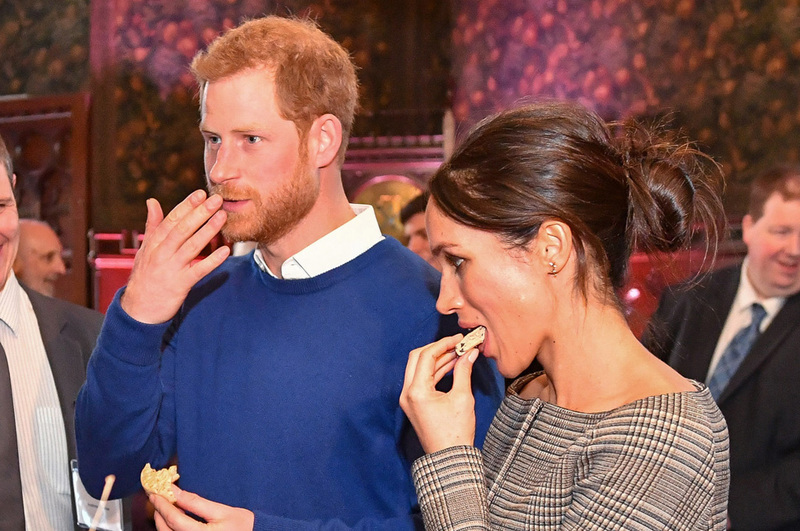 Remember the health-kick Prince Harry and Meghan went on leading up to their wedding? Part of that was Prince Harry ditching the cigarettes for good. One way to keep fit like a royal is to consider plant-based diets for a majority of your week. Meghan Markle is a self-proclaimed part-time vegan, meaning she focuses on a plant-based diet, but isn’t afraid to live a little on some occasions. “I’m conscious of what I eat. I try to eat vegan during the week and then have a little bit more flexibility with what I dig into on the weekends,” she told Best Health. Meghan Markle is conscious of what she eats, but that also includes making sure she’s giving her body what it needs. When we think of dieting, it’s often with the mentality that we can’t have one thing or the other. “Because I work out the way I do, I don’t ever want to feel deprived. I feel that the second you do that is when you start to binge on things. It’s not a diet; it’s lifestyle eating,” she told Best Health. 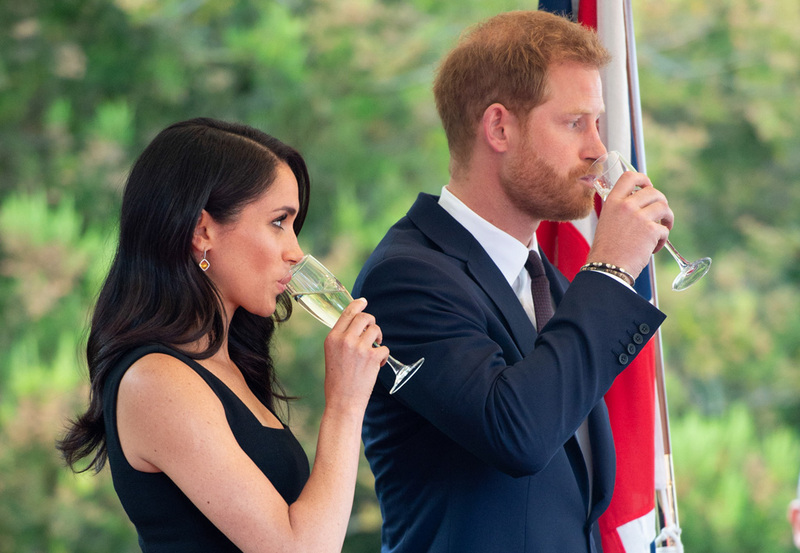 Meghan Markle also encouraged Prince Harry to cut back on his alcohol consumption. “Considering he’s been a pretty brutal drinker since he was a young teenager, it’s quite an achievement,” a source told Express. While alcohol – primarily red wine – is okay in moderation, it might start having a detrimental effect on your health if you have one too many drinks. Many alcoholic drinks are high in carbs and sugar, which really adds up. 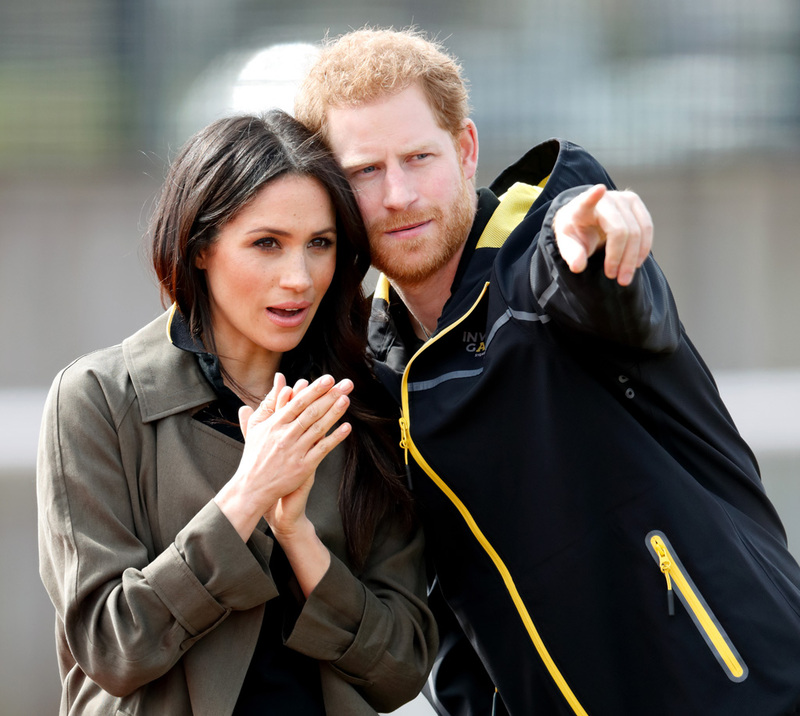 Prince Harry has taken yet another page out of Meghan’s wellness book and enlisted the help of a personal trainer at KX Gym in Chelsea, where he has been spotted almost daily at 7 a.m. “He eats well, doesn’t poison his body, exercises, does a bit of yoga and is a lot happier,” a source told Express. Though we can’t all afford personal trainers, there are usually trainers on the floor of your local gym available for advice. When it comes to staying fit, many people think that they ought to head to the gym to keep up their fitness. Still, there are plenty of activities outside the gym that can help you stay in tip-top shape. 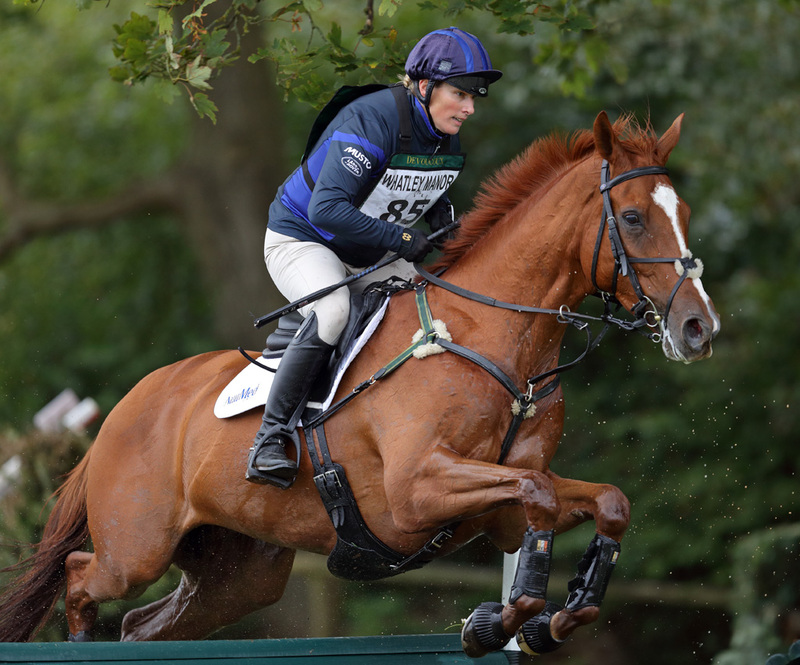 Zara Tindall, Queen Elizabeth II’s eldest granddaughter, loves horseback riding. The accomplished equestrian even won a silver medal as a part of the British Equestrian team at the 2012 London Olympic Games. Horseback riding is a great core strengthener. 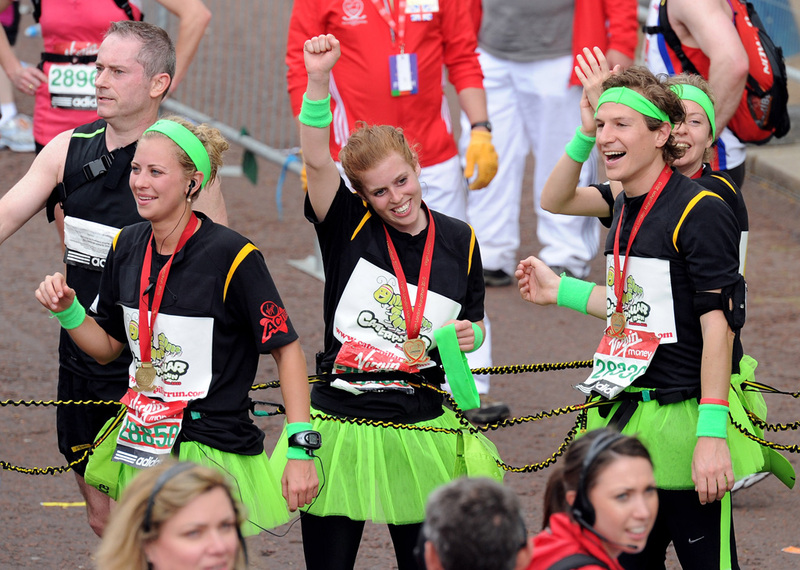 Princess Beatrice, Harry and William’s other cousin, reportedly became the first member of the royal family to complete the London Marathon in 2010. Beatrice ran the 26.2-mile race as part of a “human caterpillar,” tied to her other charity team members with bungee cords. Not only was she the first royal to participate in the event, but her team set a new world record for most people to complete a marathon while tied together. Princess Beatrice made another stride for the royal family when she became the first royal to complete a triathlon! Beatrice completed the Virgin Stive Challenge to raise money for her charity Big Change. The marathon sees participants cycle to the southern tip of Italy, swim to Sicily, mountain bike through Mount Etna, and run to the mountain summit. 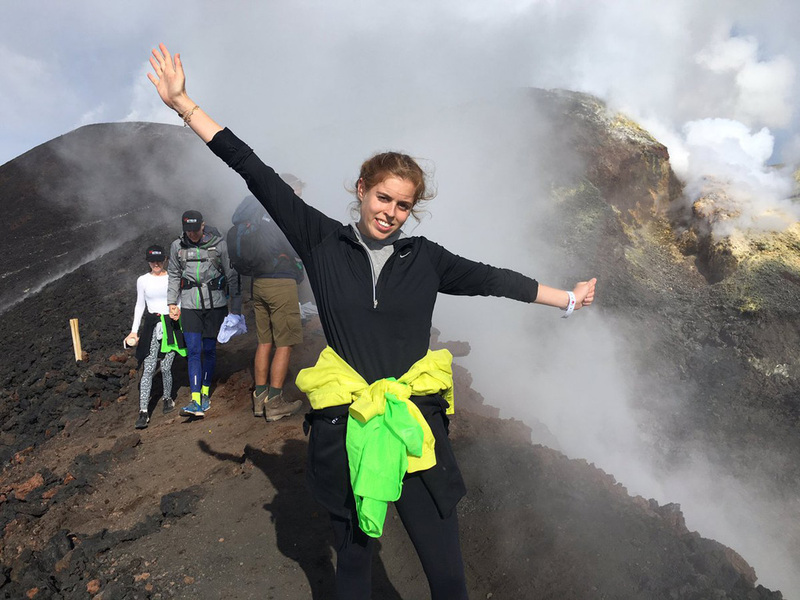 “After swimming 3,300 m biking 140km, running a half marathon and hiking up Mount Etna, I finally made it,” she wrote on Twitter. Eggs are apparently a staple in the royal family kitchens. Since the time of Queen Victoria, eggs have been served in a plethora of ways. For her part, Victoria ate her boiled eggs out of a golden egg cup. Prince Charles takes after his great-great-great grandmother by having a boiled egg each morning. They even enjoy them during tea time. Eggs are a terrific source of protein that will help satisfy your hunger pangs. One way that Queen Letizia of Spain manages her figure is by having a protein-rich breakfast, confessing to ABC newspaper that she often opts for a three-egg omelet for her first meal of the day. Many dietitians suggest packing your breakfast with a lot of protein because it will satisfy your hunger and keep you feeling full. As a result, you won’t feel as hungry throughout the day and you’ll be less inclined to snack on things. 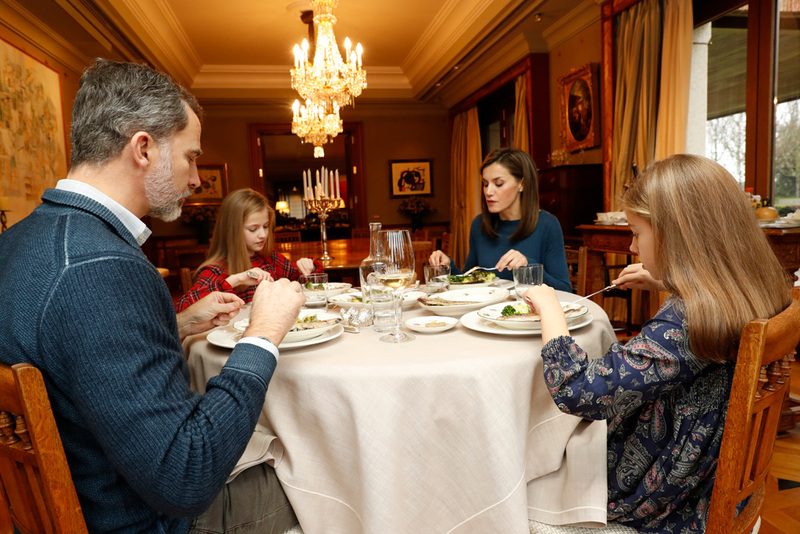 Queen Letizia also manages to keep her figure in check by taking on the Perricone diet. The Perricone diet is an anti-inflammatory regimen that still allows you to eat all of the food groups. Approved foods include fresh salmon, forest fruits, green veggies, and extra-virgin olive oil. The Perricone diet was developed by dermatologist Dr. Michael Perricone, who also teaches medicine at the University of Michigan. His regimen is not only ideal for keeping fit but also slowing inflammation that causes aging.